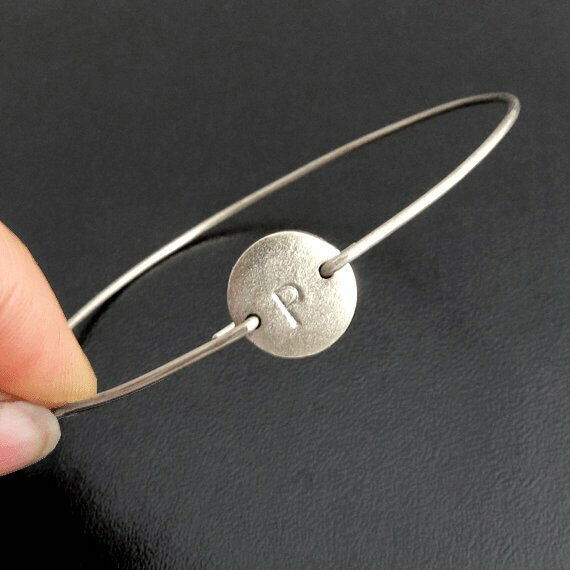 Please mention initials in "notes" during checkout for your 2 initial bangle bracelet. I can also stamp a 3 initial monogram, or a single initial (which is a larger font) as seen in the 3rd picture for your initial monogram bracelet. I can make the letters dark, like you see in the main picture (which creates contrast), or I can stamp the letters clear without darkening. 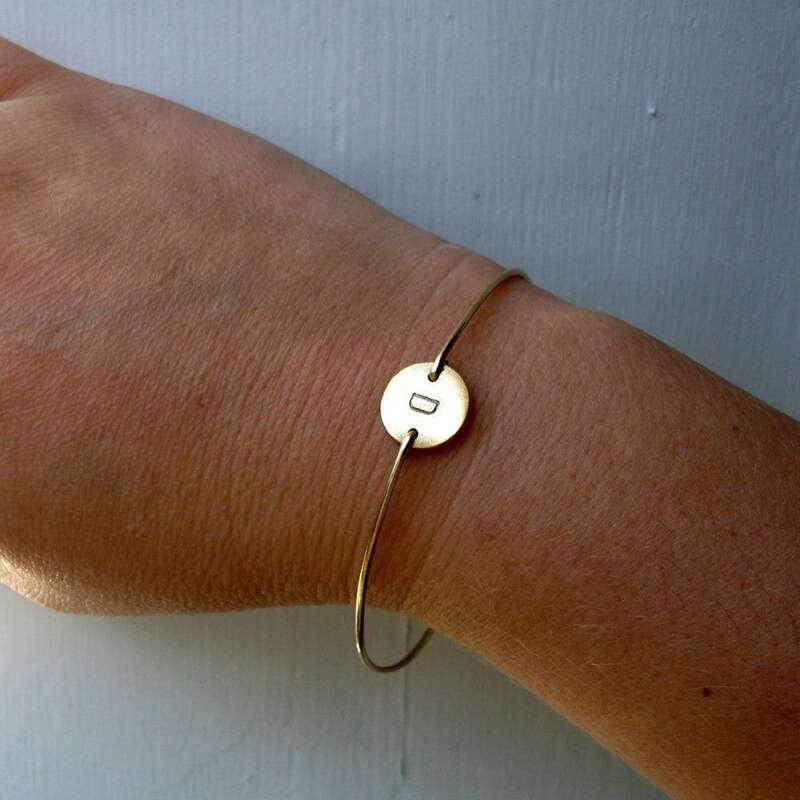 Tell me your preference for each initial bracelet you order in "notes" during checkout. Select bangle band from ordering options in brass, silver filled, 14k gold filled, or sterling silver. 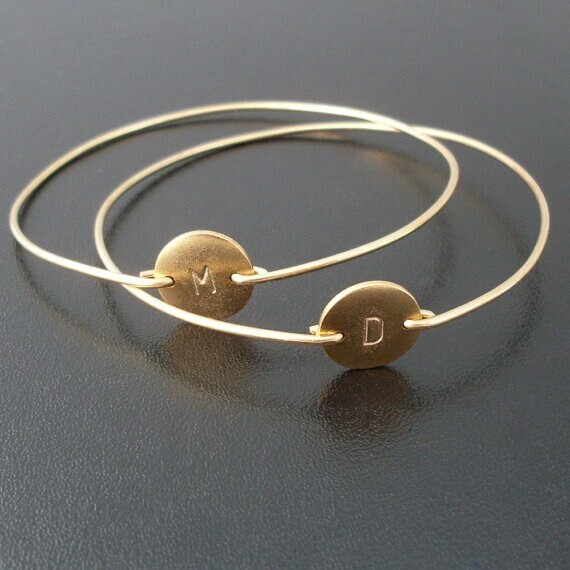 And select gold plated or silver plated initial disc with choice of darkened initials, or clear initials. I can also add a FREE, secret 2nd set of initials or number, footprint, star, horseshoe or heart on the back. Please mention in "notes to seller" during checkout for your silver or gold initial jewelry.. 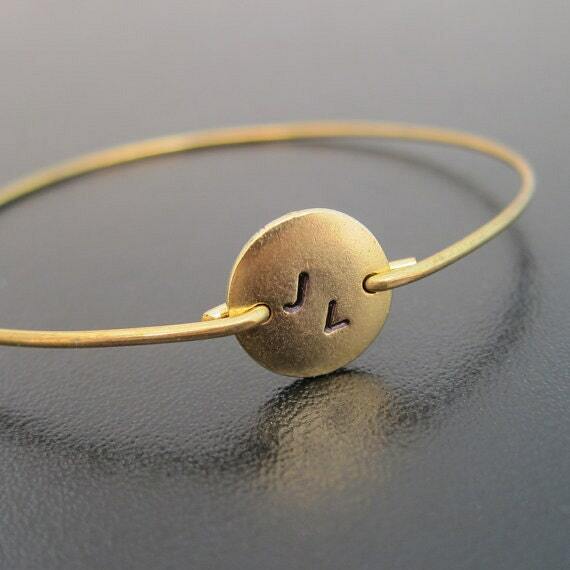 Please specify size in "notes" to seller during checkout for your initial bracelet bangle. 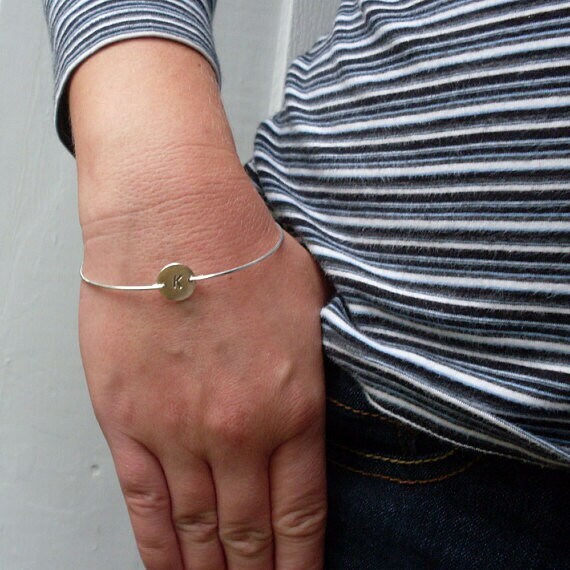 Choose from one of my regular sizes below by measuring one of your favorite bangles, or give me the circumference of the widest part of your hand where the bangle has to be pulled over; then I can size your initial bangle bracelet for you. All of my bangles are closed and can’t be opened. Therefore, they have to fit over the hand. Custom size: specify a custom size for your monogram initial jewelry. 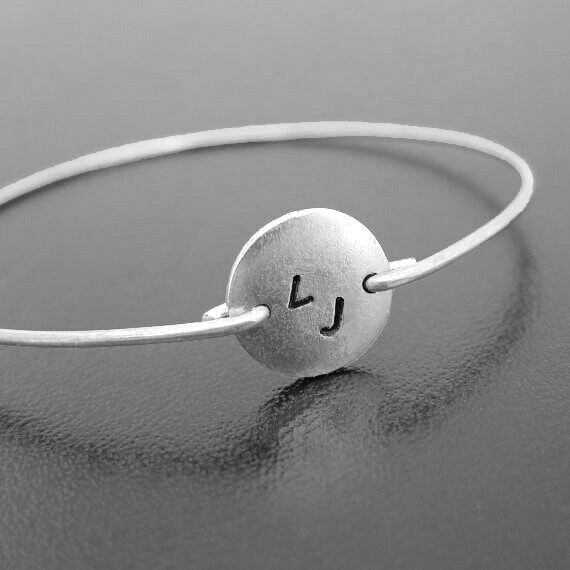 This double initial bracelet bangle / 2 initial bracelet created and hand crafted with great care and love for you and yours. 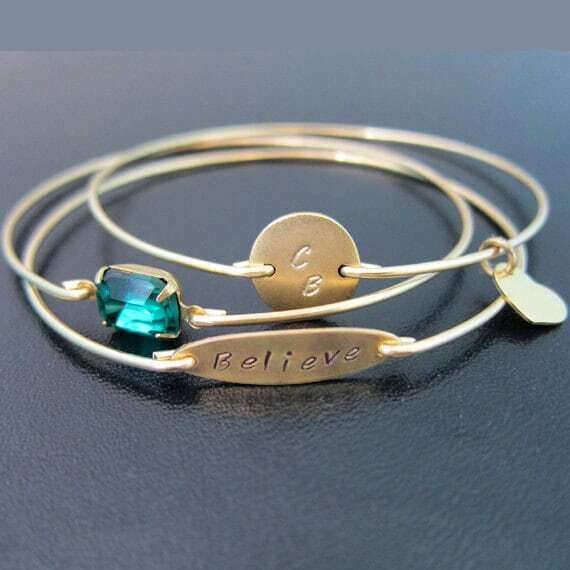 All of my bangles including these single, double or triple initial monogram bracelets are special handmade creations that are based on original Frosted Willow bangle bracelet designs. I hope you love this double initial monogram jewelry. Derivative of my © 2011 initial bangle bracelet idea.